City on ridge: Aizawl, Mizoram. 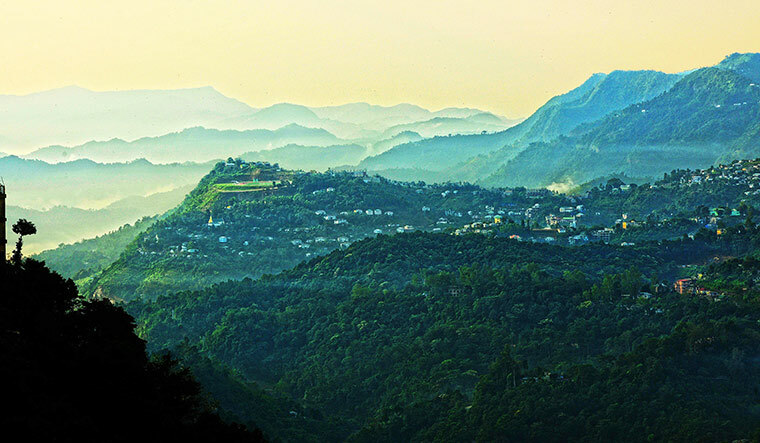 PHYSICALLY, Shillong, capital of Meghalaya, is almost as close to Hanoi as it is to Delhi. Closer to Dhaka than to Kolkata, closer to Yangon than to Mumbai. When we are abed, friends in Delhi and Bombay are home, settling down with a drink or two for dinner. Ancestral links connect the Khasis of Meghalaya to Cambodia, the Ahoms of Assam to the Tai-Ahoms of Myanmar and Thailand, and the Nagas and Mizos have kin across the border in Myanmar. We are more than 220 ethnic groups in eight states, landlocked, bordered by four countries. And, 96 per cent of the border is with these countries, while only 4 per cent is with India. Because of sustained struggle, New Delhi has had to respond to and pay attention to the demands of people in these areas. The responses have not all been kind. There have been brutal actions and counter-actions. Yet, after all the years of conflict, as a result of public engagement, fatigue and better understanding of key issues by Delhi, and the leaders of non-state movements, we are at a quieter time in the history of the region. Within a few decades of colonial rule, the British created the Chin Hills Regulation Act and brought in a system of permits for ‘outsiders’ from beyond the area. They would need Inner Line Permits (ILP) to conduct business, visit and travel within areas such as the Naga, Lushai or Mizo hills. Today, the ILP is still enforced in three states of the region and efforts are on to extend it to Meghalaya and Manipur. So, colonial law is still the basis of defining the outsider—one who cannot settle; although there are no restrictions on individuals and communities from any of these states, moving or settling in any part of India. The ILP exists for many people like you and me. It is not an issue for me. But, what is interesting is that there is another rule which virtually creates a joint citizenship of Indians with those on the bordering area of our neighbour, Myanmar. With the most elementary of identity cards, people living on the 2,000-odd kilometre border, especially in Nagaland, Mizoram and Manipur, can move 15km into each other’s territory, without travel papers. Because they have kin there. They share a common language, faith, families and traditions. So, how does one explain this? On the one hand you have the ILP by which an ‘outside’ researcher, a businessman or a traveller cannot travel within the states of Mizoram or Nagaland without a special pass. And on the other, you have citizens of India and Myanmar who can visit each other and even live in each other’s countries under what I would loosely define as a joint citizenship. Though colonial laws have divided people and created separate nations, there is also an inherent quiet flexibility within the Indian State that recognises the fungibility of borders. Being Indian has been no easy task. But, if we look at the focus of young people from the northeast, I think it takes great courage to do what they are doing. Whereas some from an earlier generation staunchly opposed the idea of India and held on to an impossible dream of freedom and separation, the younger generation is engaging with the idea of India, but reshaping it to its comfort and conviction. Thousands of people from the NER, most of them from Assam, move outside the region in search of jobs, better lives, opportunities and education every year. They hold a range of jobs, conduct research, excel in sporting events such as boxing, participate in high skill group activities such as soccer and lead the way with music performances. If you take any major football team in India and count the number of players from the NE, there would be more than a handful, at least one-third to half of the team! Yet, despite all this, there is the bitter sting of discrimination that many face, and it has everything to do with appearance. I have not faced it so far. But many others have. What is important now is that instead of quietly accepting the humiliation and nastiness heaped on them, younger people are courageously fighting back, forcing governments, employers, institutions and other civil society groups to lend their support. The most vulnerable are women, who face molestation, harassment and verbal abuse. In the cities, people from the hill states face racial discrimination that bruise the mind and lead to the build-up of frustration and anger, often without any recourse to justice. But they soldier on, moving away from both political and economic insecurity, from lack of opportunities and from poor education facilities. India’s metros beckon them. And despite discrimination, taunts and occasional violence, they are asserting their rights to access the equality and opportunities before all Indians. They continue to engage with the ‘other’ India, every day. More people are moving out of the northeast region now than ever before, making it a migrant-producing area. Is it because living conditions in the region have deteriorated? Or is it because of the rising aspirations that have swept across the country? Or is it because many young people have begun to accept the idea of India, and want to engage with opportunities either knowing or unknowing of attendant risks. There are frequent accusations of ghettoisation, that they live wherever their communities are—that is only natural and to be expected. It is the nature of migration and settlement. People move to perceived safety and comfort zones. But see the impact: shopkeepers speak Meitei or Nagamese! Yet, they continue to be ‘strangers in our midst’, unlike other migrant populations, and continue to be derided on the way they look, the food they eat, the clothes they wear. People are ‘voting with their feet’ to leave behind difficult situations; they are rejecting arbitrariness, impunity, economic vulnerability and are looking to level up in life; they are moving towards better opportunities and engaging with the idea of India, which their ancestors once resisted. 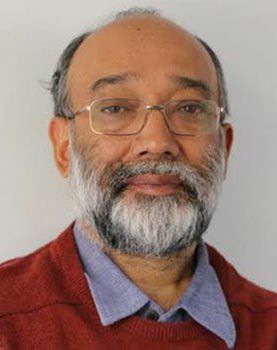 Hazarika is international director of the Commonwealth Human Rights Initiative, and founder director of the Centre for North East Studies and Policy Research at Jamia Millia Islamia, Delhi.